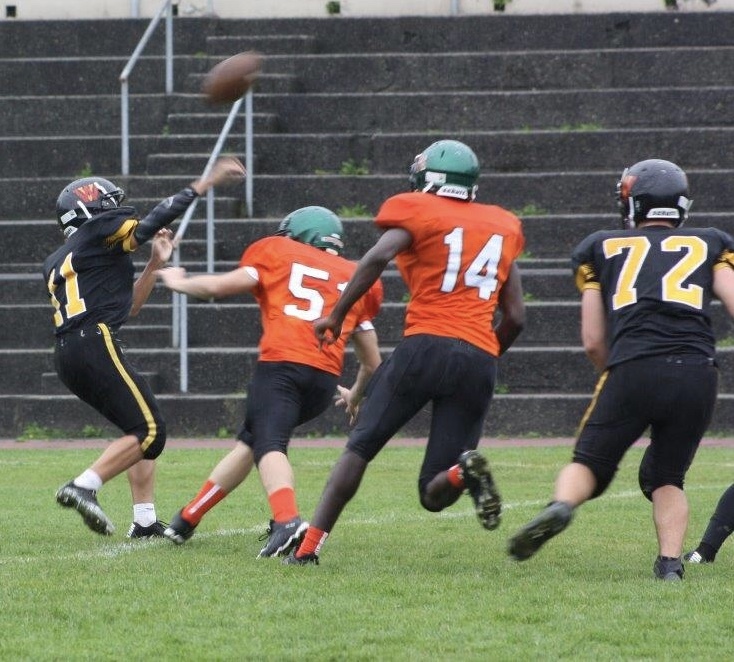 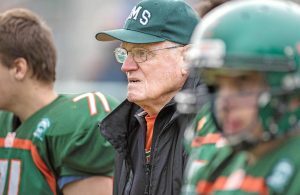 The Earl Marriott Mariners Junior Varsity football team make the long trek to West Vancouver on Thursday, where they used the running tandem of Michael Ficken and Yousouf Berete to post a 20-0 victory over the Highlanders. 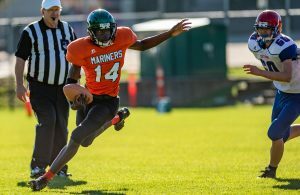 In total the Mariners pounded out close to 200 yards rushing on the day, Ficken led the way with over 100 yards and a pair of touchdowns while Berete had another strong outing with 80 yards and a touchdown. 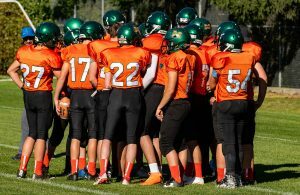 Quarterback Jakob Davies put in a gutsy performance, the sophomore quarterback was playing a little banged up but executed the Mariners offensive game plan with precision and made a great toss to Lachlan Scardina for a two point convert. 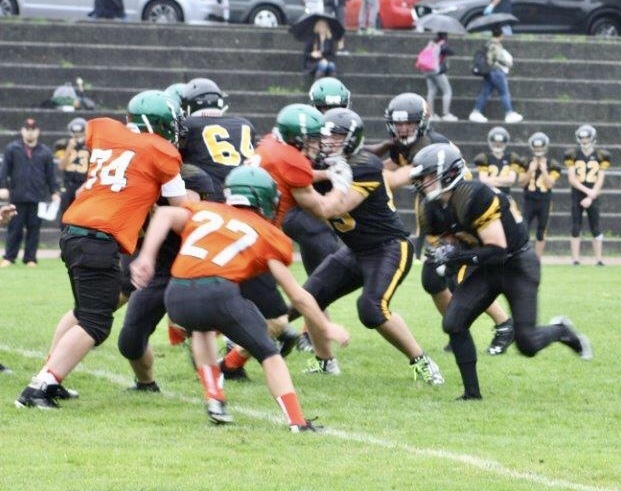 Dylan Weichler was a standout on both sides of the ball and on special teams for the Mariners, opening holes on offensive line, plugging them on defensive line and making a heads up play on a West Van short kickoff attempt, Weichler scooped up the loose ball and went on a romp before being brought down at the Highlanders one yard line. 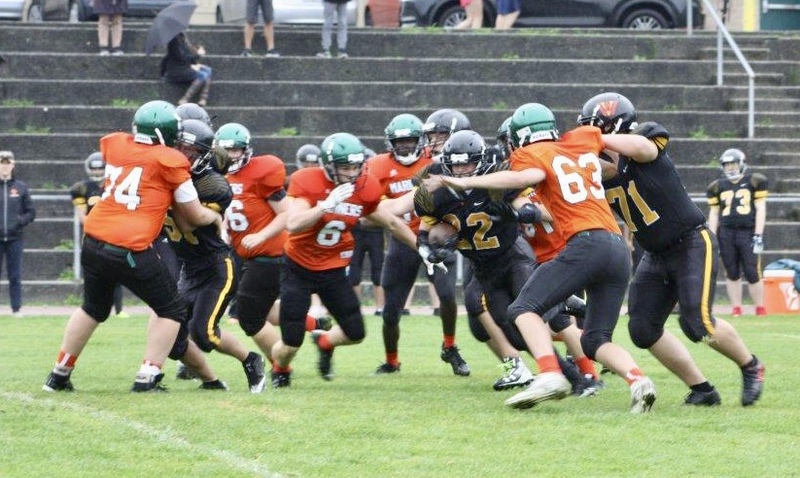 The Mariners defensive unit had it’s best outing of the year and earned the shutout with strong play by it’s front seven and three interceptions from the secondary with Sean Collins, Lachlan Scardina and Carter Fenwick each picking off a Highlanders pass. 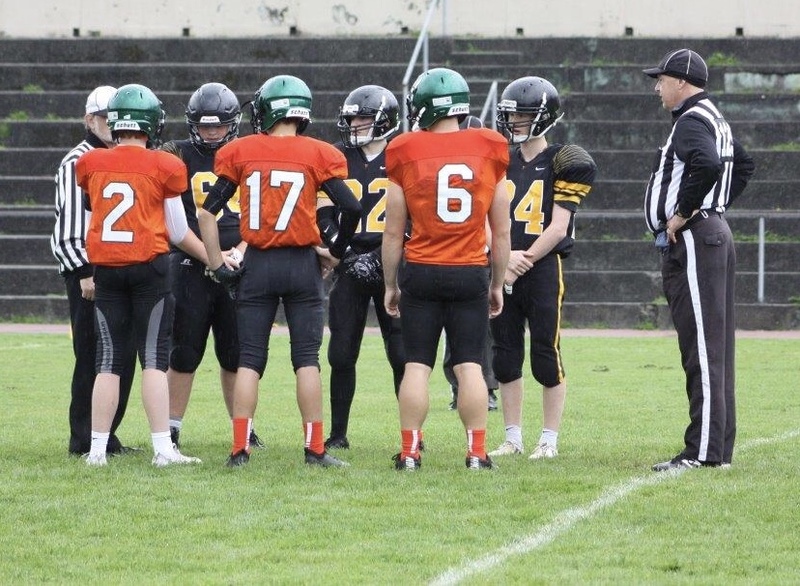 The Mariners evened their record a 1-1 on the season with the win and now prepare to take on the Sullivan Heights Stars next Thursday, September 27, at Cloverdale Athletic Park, kick-off is 3PM.